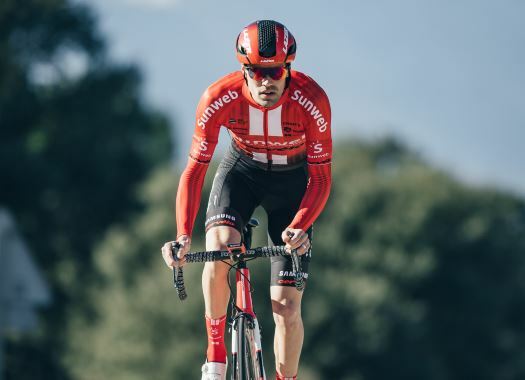 Team Sunweb is prepared to face Milano-Sanremo with a team that includes Tom Dumoulin and the return of Michael Matthews. The team is prepared for every outcome in the first Monument of the season and will include riders that can cover the climbs and the sprints. "On Saturday we have the epic classic, Milano-Sanremo which totals over 291 kilometres," said coach Luke Roberts. "It retains its traditional parcours that always create a bit of an unpredictable outcome. Last year we saw an attack on the Poggio that survived to the finish, but we have also seen the race favour the sprinters that can pass the climbs and come to a reduced bunch sprint. "After Michael's tough crash in Paris-Nice last week we're pleased to see him back in action this weekend. After a recovery period off the bike, we will have to see what's possible in the race. He has a good basis and is cleared to race by our medical team and hopefully, he can get to the final if we have a reduced bunch. We also have Tom coming from Tirreno-Adriatico where he finished 4th, he will, of course, look to cover the attacks on the Poggio alongside Søren, who's condition is looking good coming into the classics."